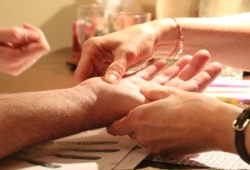 Palm reading or Palmistry has strongly developed over the years as the personal gateway to the unknown. Depending largely upon of the length, shape, and other specialized characteristics of the lines on our palm, this art tends to be subjective. What Do You Know About The Root Of Chiromancy? 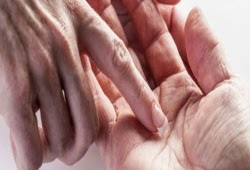 To be also called chiromancy, Palm reading has its origin from the ancient China, Greeks, . . . 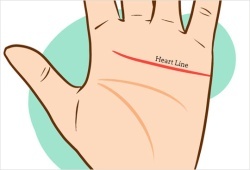 According to palmistry, there are three major lines on a person’s palm, including Heart line (emotion energy), Head line (mental energy) and Life line (physical energy). Of course, you can find out all three lines on every person’s hand. 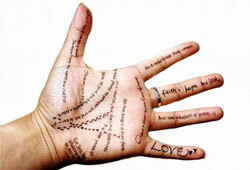 At this time, we will talk about palm reading for Heart line and know about its importance and influence. The Heart line is the horizontal line and above . . .
Ponder on what the lines on our palm describe and why they are there? In fact, the answers to this puzzle can be found in palmistry, chiromancy, also referred to palm reading. Generally, palmistry is known as the art of foreseeing the future or the course of a person's life through analyzing the lines on his palm. This interesting practice has been going around for centuries, and every . 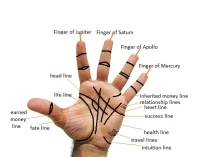 . .
Palmistry (or chiromancy) refers to the narrating fortune based on the lines and mounts of a person's hand palm. 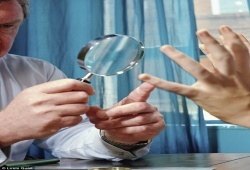 Understanding the basics of palm reading enables you to gain an insight into your personality. And now, with the "Basic Palm Reading Diagram", you can experience the reading process with ease. For more information, please keep track of the following: According to palmistry . . .
Once falling in love with someone, we are always curious about that person and want to know everything about him/her such as traits, behaviors, etc., right? Of course, there are a couple of useful methods that you can avail. Amongst, utilizing love palm reading is known as a simple and efficient method that can disclose your love life with ease. Study your Heart line and discover . . .
Palm reading is known as an interesting art of knowledge for those who practice it and also for those who think in it. 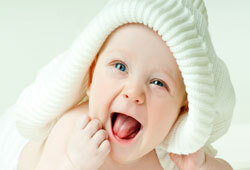 It is able to make future predictions about a person’s life, health, education, or trait. According to Indian palmists, this reading is used before a couple decides to get married because it can be used to determine the compatibility of the couple relied on the lines on their . . . Almost palm readers try to tell their clients what different lines on their hand actually mean; however, they are usually rather off. For a long time, people have read palms to try to show emotions and character of the bearer. And this line is called the Heart line. The Heart line in your palm can deal with all the sentiments and events that are about love, whether it be your capacity to love . . .
Wonder which part of your body hides most mysteries? From the ancient time, according to ancient palmist, a person's hand can reveal their destiny as well as characteristics. All the lines on the palm can give you genuine hints for different aspects of your life including the marriage and children field. Today, we're going to discuss the topic "How Many Kids Will I Have Palm Reading" and . . .